With more than a decade of experience providing CyberKnife technology to patients with various types of cancerous and non-cancerous tumors, Overlook Medical Center brings the most extensive knowledge and practice to CyberKnife treatment. It couldn't be better, if I wrote the rules. Cancer hasn't slowed me down. This pain-free, non-surgical option is designed for patients who have inoperable or surgically complex tumors, or who may be looking for an alternative to surgery. Our experienced team uses the newest CyberKnife M6 model to treat larger lesions with more accuracy, while reducing treatment times to just five visits or less, as compared to more than 40 treatments with conventional radiation therapy. This technology also allows us to target difficult-to-reach tumors that may have been impossible to treat in the past, giving new hope to patients in our community. In addition, Overlook Medical Center uses the latest model of the technology, which allows our team to successfully treat even larger tumors than previously and eliminates the need for invasive or uncomfortable methods to minimize patient movement during the procedure. At Atlantic Neuroscience Institute at Overlook Medical Center, we also use CyberKnife treatment for neurological conditions, like acoustic neuromas, arteriovenous malformations and trigeminal neuralgia. Our multi-disciplinary team includes neurosurgeons, neuro-oncologists, a radiation oncologist, thoracic (thorax) surgeons, urologists and hepatic (liver) physicians. 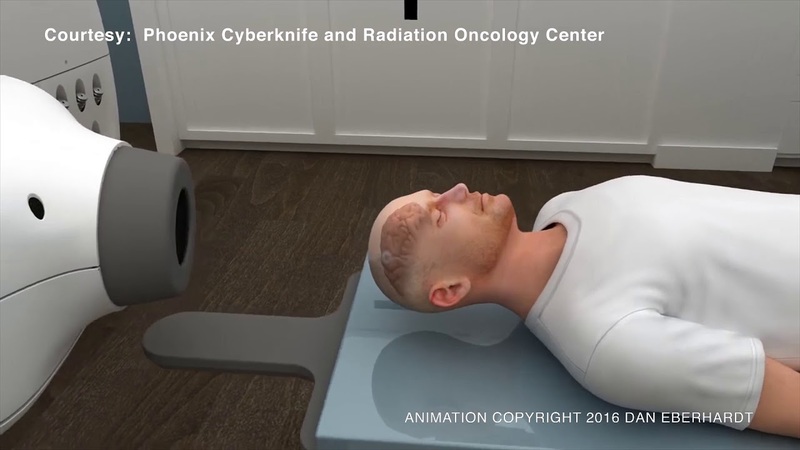 Together, they’ll carefully review each patient’s condition to determine if CyberKnife is an appropriate treatment option. We also offer nutritional counseling services and has nurse navigators, who provide education, support and guidance to cancer patients throughout all stages of their treatment at some of our locations. CyberKnife utilizes sophisticated software and advanced imaging to track tumor and patient movement. This eliminates the need for patients to endure invasive and uncomfortable methods to minimize their movement as much as possible. You're not alone in the fight against cancer. Cancer support services at Atlantic Health System help patients manage the stress that arises from the physical symptoms, emotional issues, and spiritual challenges of cancer. What should you consider when choosing a hospital? Choosing the right hospital for your needs is an important task—but it can sometimes feel overwhelming. Here are some suggestions for finding the best fit, rather than simply choosing the nearest location.